If your vehicle's stereo system has an auxiliary input (Aux In) connection or jack, the Aux In Cable solution provides the best audio quality. This connection or jack is usually denoted as AUX or AUX IN, or LINE IN on your vehicle's stereo system. The Aux In Cable directly connects the audio from the Radio to the vehicle's stereo system. 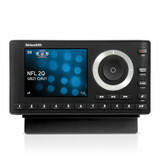 Your Radio with Vehicle Kit includes an Aux In Cable in the product package. If you don't have an Aux In Cable, you can purchase one from your favorite SiriusXM retailer or directly from SiriusXM. The cable needs to have a 3.5 mm (1/8 inch) male stereo plug on each end. Note: Very rarely, the auxiliary input connection in some vehicle models may require an audio cable with RCA left and right connectors to connect to it. In this case, the cable needs to have a 3.5 mm male stereo plug on one end (to connect to the Vehicle Dock, and RCA left and right audio plugs on the other end. 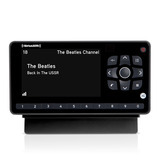 This cable can purchased from your favorite SiriusXM retailer or directly from SiriusXM. Plug one end of the cable into the AUDIO connector on the Vehicle Dock. On the PowerConnect Vehicle Dock, the color of this connector is green. When you plug the Aux In Cable into the Vehicle Dock, the FM transmitter will automatically be turned off. If you had previously selected to disable AUX Detect in your Radio (not likely), you'll need to enable AUX Detect again. 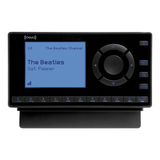 Consult the User Guide for you radio for instructions on how to enable AUX Detect. 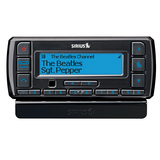 Turn on your vehicle's stereo system and set it to play from the auxiliary input source. You should hear the XM audio playing through your vehicle's speakers.